Stampin’ Up! has just announced a great sale! 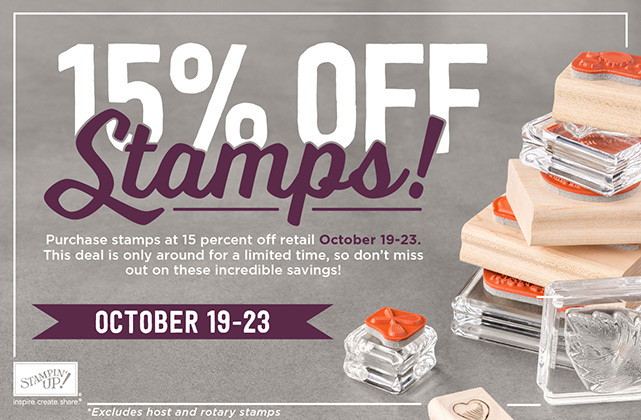 Today (Monday,Oct 19th) is the first day to purchase stamps at 15 percent off retail. It’s a deal you don’t want to miss! This sale ends in just a few days on October 23rd. It’s a great time to take advantage of this as we get closer to the holidays!